The University of Exeter is a leading Russell Group university located in Devon and Cornwall in beautiful South West England. The university was founded and received its Royal Charter in 1955 although its origins go back to the mid nineteenth-century. The university is the highest ranked institution in the south-west and 12th overall (out of 132 UK universities) in The Times and Sunday Times Good University Guide (2019). In subject performance in the same league table, all bar one of Exeter’s subjects are ranked in the UK Top 20, with twenty-nine disciplines rated Top 10 and ten in the Top 5. The University has an enviable reputation for what is called “The Exeter Experience”. Excellence in teaching, research and an outstanding student experience make Exeter a favorite international destination, now hosting 5,000 international students from over 140 countries. Exeter students are happy, confident and active. In 2015 and again in 2017 Exeter was voted the UK’s best university for “International Student Experience” (Whatuni survey). The University was also placed 2nd in the Russell Group for overall student satisfaction (National Student Survey 2018) and received a Gold award in the recent Teaching Excellence Framework (TEF 2017) based on satisfaction, completion rates (96%) and graduate prospects (95%). Research at Exeter is also strong across all subject disciplines. In the most recent (2014) Research Excellence Framework (REF) 98% of Exeter’s research was rated as being of international quality and 82% as “world-leading or internationally excellent”. With campuses in Exeter, Devon, and near Falmouth in Cornwall, students and staff enjoy some of the finest study environments in the UK. The Streatham Campus is a registered botanical garden; an environment The Independent newspaper described as ‘sublime’. St Luke’s campus provides a vibrant collegiate atmosphere in a traditional English setting. Both Exeter campuses are located within the city of Exeter, an historic Roman city with an iconic mediaeval cathedral. The Penryn campus in Cornwall boasts stunning contemporary buildings in an Area of Outstanding Natural Beauty, close to the sea and fashionable port of Falmouth. The university has invested heavily in new teaching, recreational, accommodation and sporting facilities in recent years. A focal point of Exeter’s Streatham campus is the £50M Forum building which brings together all student services in one architecturally award winning building. An enlarged library (open 24/7), exploration labs, career zone and international student support sit alongside a supermarket, a bank, student bar and numerous restaurants and cafes. The Students' Guild in Exeter and FXU in Cornwall are instrumental in organizing events and activities for students. In addition to on-campus entertainment including regular live music, there are more than 220 student societies (student clubs). Societies range from Archaeology, Beats and Bass and the International Society, to Lit Soc, Photosoc, Ski Club and Real Ale Society! There are various theater and music-based societies, orchestral and choral groups, and the region’s main theater, the Northcott, is situated on the Streatham campus. On the Penryn campus, the Stannary, with a 1,300 capacity, is the social hub of the campus and has become one of Cornwall’s best live venues with gigs, comedy and club nights. Exeter is also very sports-centered, having been designated the UK’s Sports University of the Year 2016 (Times and Sunday Times) as a result of its sporting performance (top 10 UK) and teaching and research excellence in Sports Science (No 1 UK in Times GUG). There are around 50 different sports clubs, an outdoor swimming pool at Streatham and an indoor pool at St Luke's. Accommodation is guaranteed to all new international students entering their first year of studies once their academic offer is ‘firmly accepted’ (undergraduates via UCAS, Master’s students by a tuition fee deposit). There are many accommodation options to suit different budgets. Exeter city center is a commercial and cultural hub for the South West of England, and is only 15 minutes' walk from both the Streatham and St Luke's campuses. As well as the big brand shopping and historical attractions of the city, there are many independent cafes, restaurants, bars and clubs. Dartmoor and Exmoor national parks are only half an hour away; a playground for outdoor pursuits such as hiking, climbing, cycling and horse-riding. On and around the Penryn campus you’ll find a fantastic student lifestyle with plenty of opportunities for outdoor activities. Nearby Falmouth is a vibrant town with a hip bar and café culture. The Cornish coastline is world renowned, offering great water sport activities and beach life. If you would like to find out more about Exeter University, please contact one of our Across the Pond Advisors. Exeter makes more than £1.5 million worth of scholarships available for international students applying to study either Undergraduate or Postgraduate taught programmes in September 2019. Get in touch with your Across the Pond advisor to learn more about scholarship opportunities and how you can apply to the University of Exeter. Exeter cements its reputation as a world leader in Environment and Ecology, placed 22nd in the world (and 3rd best UK) in US News rankings. Get in touch with your Across the Pond advisor to learn more about study opportunities and how you can apply to the University of Exeter. Exeter has been named the top university in the South West in The Times and The Sunday Times Good University Guide 2019. The University also rose two places to 12th nationally in the overall ranking which was released in September, 2018. The league table cites Exeter’s increased spending on student facilities and services, improved staffing levels and one of the highest degree completion rates in the country as being behind the University’s rise in the rankings. We are pleased to announce that one of our university partners, the University of Exeter, has recently been rated Gold for their teaching quality. This rating is the result of the UK government's national Teaching Excellence Framework (TEF). The Teaching Excellence Framework (TEF) is a very ambitious program to assess the quality of teaching, learning environment and the outcomes for students completing higher education in each UK higher education institute. We want to congratulate one of our long-standing partner universities, the University of Exeter, for winning the prestigious Whatuni Student Rankings 2017 Award for providing the best international student experience of any UK university. This is the second time in three years that Exeter has won. Very well done! 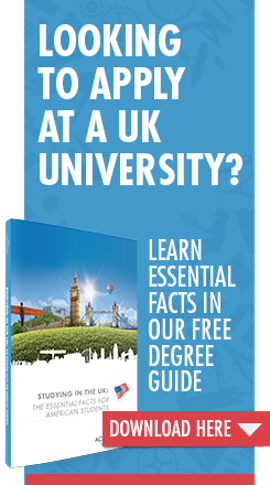 If you'd like to know more about University of Exeter, get in touch with us today for free guidance and support. 24 subjects at the University of Exeter secured top 10 status in the Complete University Guide 2018 rankings, which confirms these subjects are amongst the best in the country. The University of Exeter’s unique One Planet course has been ranked again as among the best MBA programs in the world. The pioneering program, which helps talented business professionals address the global challenges of our time, has been named as one of the top courses in Europe, and joint 21st in the world by CEO Magazine. Courses are judged on factors including institutional quality, international diversity, class size, accreditation by outside bodies, price, work experience, professional development offered, gender parity and delivery methods. Thanks to ever-increasing employment opportunities in Environmental Sciences – which brings together fields such as sustainable development, climate change, renewable energy, and conservation biology – this interdisciplinary area of research at the University of Exeter is becoming an increasingly attractive area of study for both undergraduate and graduate students. I chose the University of Exeter for a number of reasons: reputation, resources, size, and location. I was really interested to earn a master’s degree relating to business management with some type of international component, but personally, was not inclined to earn an MBA. Thanks to Across the Pond, I am now studying at the University of Exeter, one of the top universities in England and with one of the most beautiful campuses I have ever seen. I'm so glad I found Across The Pond! My personal advisor counseled me through every step, from choosing which unis to apply to, to guiding me through the visa application process.